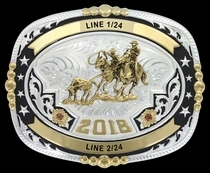 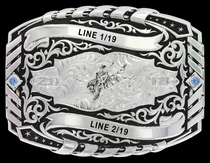 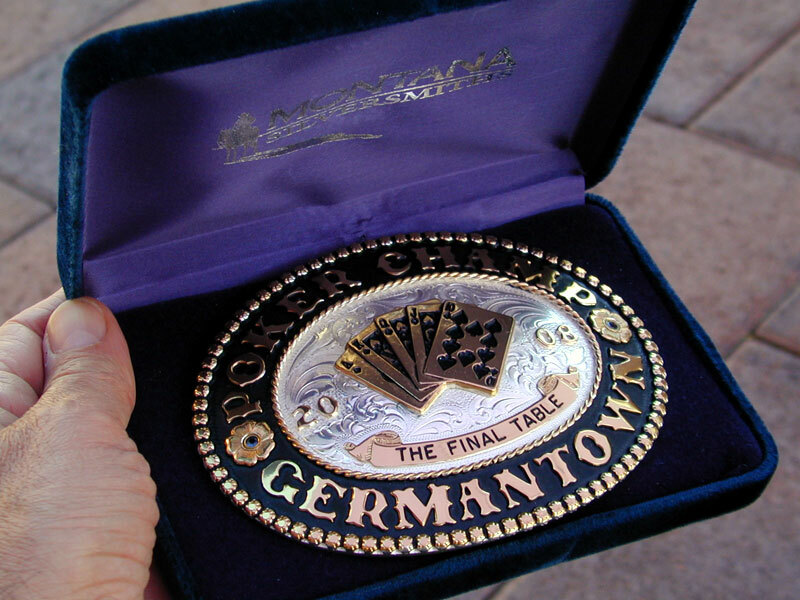 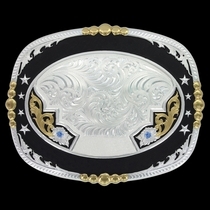 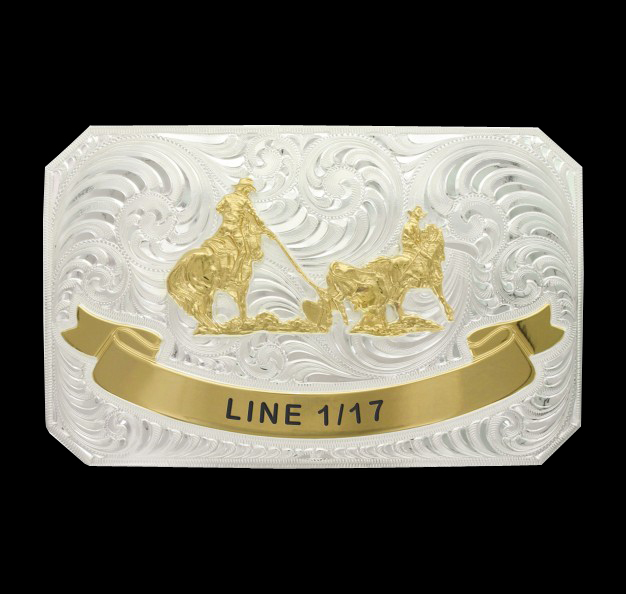 A silver finished rectangular buckle with one gold finished banner with 17 characters available. 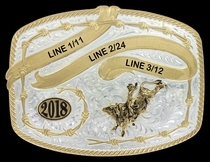 Any figure option. 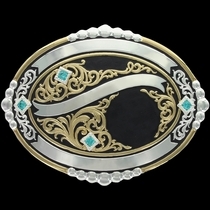 Standard 1.5 belt swivel.